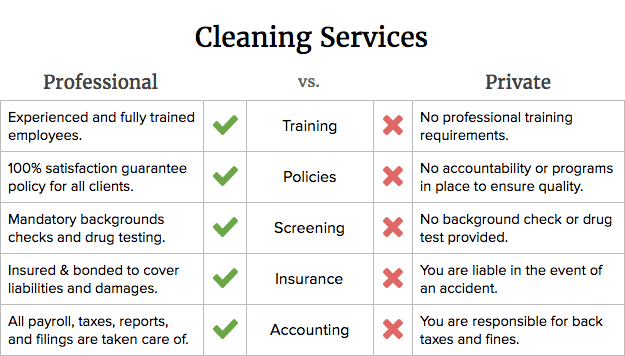 Great Green Cleaning - Professional Service or Private Cleaner… whats really best? Everyone wants to hire a service professional who’s reliable, trustworthy, and does a fantastic job, but in today’s high-speed internet world, good help is increasingly difficult to find. We believe it’s about finding a balance between the lurking strangers and disconnected corporate entities. This is why we hold ourselves to the highest professional standards, and as a company we do what we believe is right even if it costs us more and takes a little more time. Offering people excellent service without compromise. Making sure each employee gets paid a living wage. 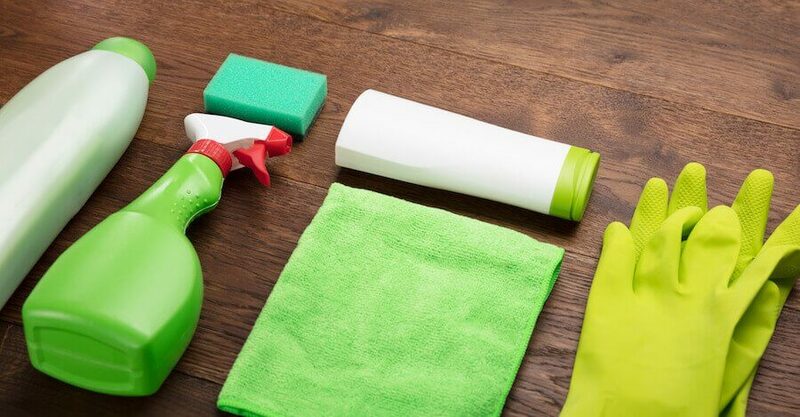 Always using eco-friendly cleaning supplies and products. The danger of using private or unlicensed cleaning people is that you never know what to expect. Are they held responsible for how they treat your home? What happens if they get hurt on the job? Do they know the best methods and products for the job? When you hire us you’re getting far more than just someone to clean your home. In uniform with photo ID and a professional attitude. 30 years of experience in the cleaning industry. 24/7 reachability for all of your cleaning emergencies. At Great Green Cleaning, we know. You do your best to pick up around the house, and it feels like the mess is still gaining on you. Getting someone to help with deep cleaning, organizing, and everyday chores can give you more time to focus on what matters most to you. Now, getting someone you trust who’s great and professional? That’s invaluable.